We did it - 10mm spheres! These white spheres are the biggest, baddest spheres we have ever seen. 100% perfect--perfect polish, perfect color. If you need the best, you have found it. 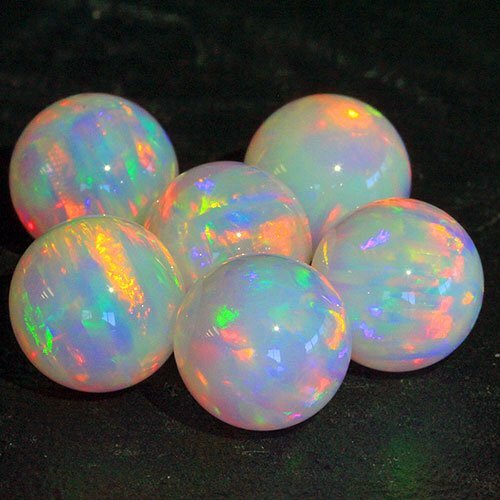 The stones are totally opaque white and flash every color in the rainbow. You will not be disappointed!